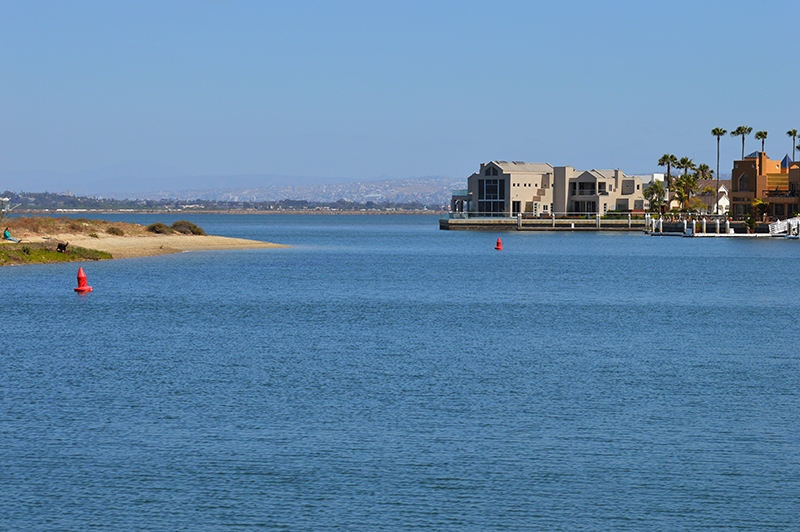 Coronado Cays is a residential area with a collection of luxurious waterfront homes or condos and not exactly what you would call a tourist destination. So why are we featuring it here? Because there actually are a few things you can do in the area. 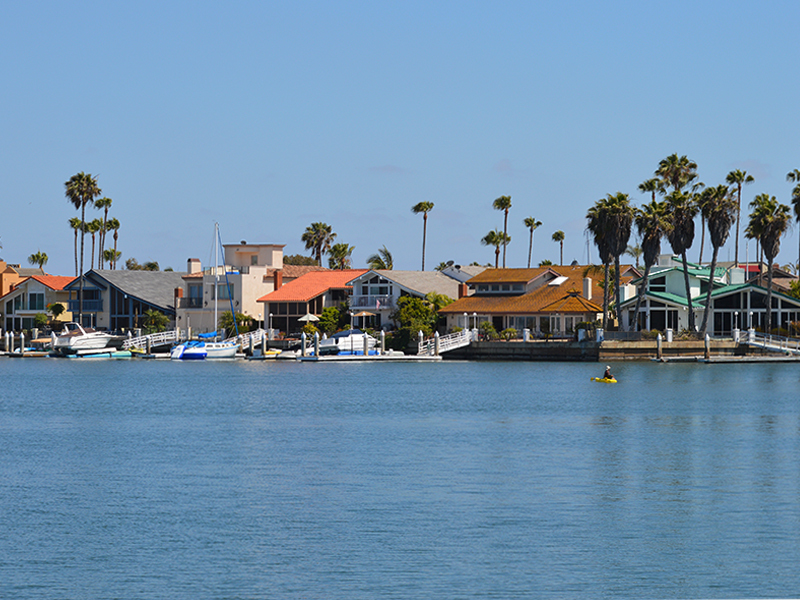 Coronado Cays is situated about 4 miles south of the Del Coronado Hotel and is across the street from the crashing waves of the Silver Strand State Beach. 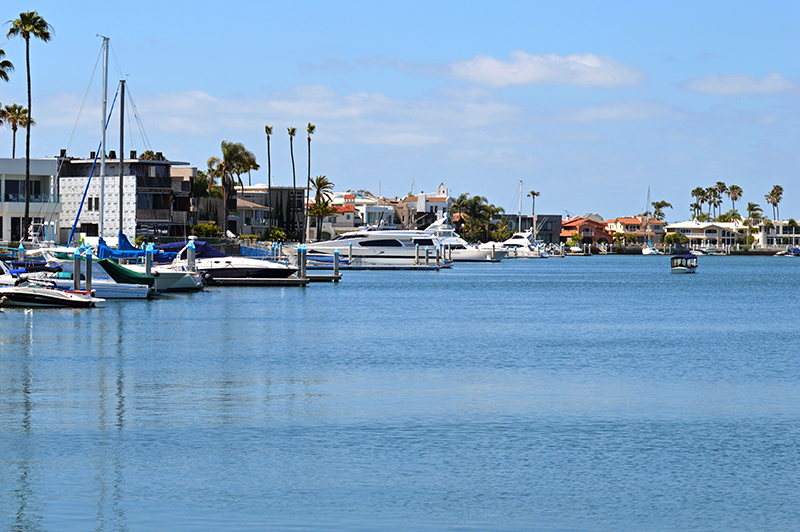 It is made up of numerous channels, inlets, and waterways all making their way out to the quieter part of San Diego bay. 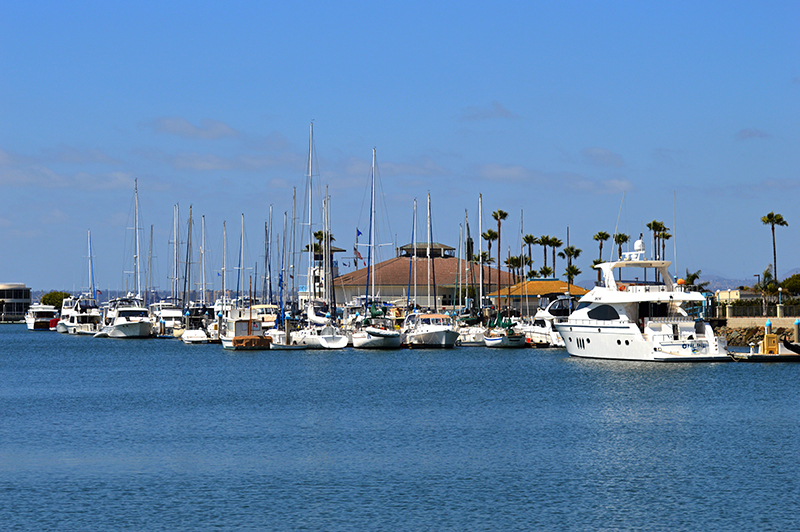 As mentioned, there are a few of things you can do there and spending some time at the Coronado Cays Park is one such thing. This large six acre grassy area is perfect for sports activities, playing with your dog, or taking a scenic stroll along the bay. From what I could see as we drove by, it looked like you could launch your SUP or kayak along the shore to enjoy the calmer waters of this part of the bay. There are also tennis courts, a baseball diamond on one end, bathrooms, and a kid’s play area. If you are hungry, the bay side Calypso Café is nearby. Although we didn’t eat there, I looked it up on Google and Yelp and it became evident that this is a favorite of the locals and by all accounts a great place to eat. The patio sits right on one of the channels giving you a chance to eat, relax and enjoy the view. Another unique experience is taking a gondola ride through the waterways of the Cays. This is something I did get to do about three years ago. The gondolier expertly guides you through the canals while you sit within the peaceful comfort of the Italian style boat. Munchies in the form of cheese, crackers, and grapes are provided as part of the package. You could easily fall asleep during the relaxing hour long ride as you glide through the passages with beautiful homes and boats just a few feet away. The swaying of the gondola, the sun beating down on your face, the sea breeze, and the ambient sound of water lapping against the boat is enough to put you asleep for hours. I definitely could have taken an hour long nap, however, I willed my eyes to stay open as I didn’t want to miss out on any of the wonderful scenery. Although tourists aren’t exactly flocking to the Coronado Cays and are instead opting for Sea World, the Zoo, and the Hotel Del, let’s just call the Coronado Cays our little secret. 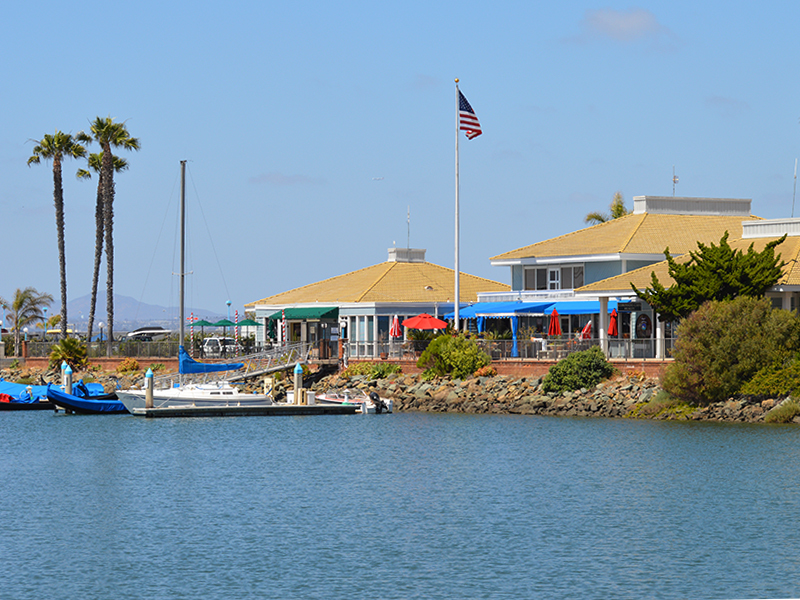 If you live in San Diego or are just visiting and you want to spend a relaxing day at the coast or enjoy a quiet bay side lunch, this is the place. Also, if you are traveling with the pooch, the park may be a perfect exercise excursion for him or her…or you!